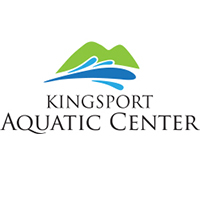 The Kingsport Aquatic Center is partnering with Electric 94.9 to bring a free pop-up concert to the outdoor water park this month. The concert will feature popular British band, The Vamps. The electrifying event will be held Wednesday, June 27, from 11:00 a.m. – 1:00 p.m. The Vamps will perform a special acoustic set at noon, and a short Q&A will follow the performance. Free admission to the outdoor water park will be given during event times, and music and free prizes from 94.9 will be given out. Called the hardest-working young band in Britain, The Vamps’ debut album, 2014’s Meet The Vamps, as well as their follow-up album, Wake Up, have been worldwide successes. The band has sold out London’s 20,000-capacity O2 four times, touts collaborations with singer Demi Lovato, and contributed voice talent to the movie Kung Fu Panda 3. The concert will be held at the Kingsport Aquatic Center, 1820 Meadowview Parkway, Kingsport TN 37660. For more information on The Vamps, visit http://www.thevamps.net, and follow them at http://instagram.com/wearethevamps and https://twitter.com/thevampsband. For more information on the Summer Splash Concert, visit http://www.electric949.com/.